Triangle Cross Ranch is a Catholic Troubled Boys Ranch, dedicated to providing troubled boys with an adventurous and unique treatment opportunity. We inspire at-risk teenage boys to grow emotionally, spiritually, and therapeutically while assisting them in overcoming their behavioral shortcomings, which thus far, have been detrimental to their lives. Our Catholic Troubled Boys Ranch lasts anywhere between 6 – 18 months. We actually recommend enrolling your struggling teen for the full extent of 18 months, as we have found that 18 months is the amount of time required to truly transform a teenage boy’s negative behavior and way of thinking. Moreover, those who stay for the full duration of our program experience our program in it’s full entirety and therefore, are able to obtain all of the spiritual and therapeutic wellness that we are able provide. 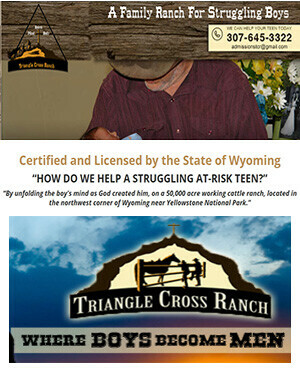 If you are a frustrated parent of a troubled teenage boy, please call Triangle Cross Ranch, a Catholic Troubled Boys Ranch that parents can trust in changing their teen’s negative lifestyle into a more positive, successful, and overall complete way of living. You can reach us anytime at 307-213-7116. We will be happy to answer any questions you may have concerning our unique, ranch styled, long-term residency program. Many parents who are desperate to find help for their children will consider the treatment provided by Catholic Troubled Boys private schools. These facilities have a number of advantages, mainly due to their incorporation of religious values and widespread availability around the country. Because of these advantages, it is important for parents to realize how these programs might be able to help their children if they are struggling with issues like substance abuse, rebellious behavior, anger, or poor grades. However, for a number of individuals, there are more effective options like Ranch for Troubled Boys. If you are in need of our help, we encourage you to contact us today at 307-213-7116. Our program is very unique from almost all others in the competitive industry of troubled teen treatment. 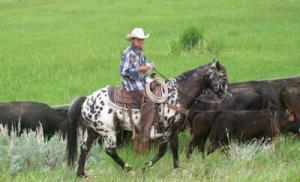 We are a ranch located in the one of the most desolate of places imaginable. Distractions that the outside world bestow on teenage boys is an inconvenience that is simply non-existent at our ranch. This simple way of life, though difficult at first, will be an all new, exciting way of life that every boy should get the opportunity to appreciate. WHY SOME PARENTS CHOOSE CATHOLIC TROUBLED BOYS SCHOOLS? 1 – Religious values – Incorporating religious values can be important in some cases, as it provides the motivation and guidance that an individual might need to overcome their issues. 2 – A strict environment – Many parents believe that a strict environment is necessary to bring about long-term improvements. Parents with this belief will often choose Catholic Troubled Boys Schools , due to their reputation as being very strict. In reality, while some strictness is necessary it is not the most important factor in bringing about significant changes to an individuals life. 3 – Proven results – Catholic Troubled Boys Schools have proven themselves to be effective in bringing about lasting changes to individuals with problems. This excellent track record will make some parents choose a Catholic boarding school even though other programs might be more effective in a particular situation. While we are a Catholic Troubled Boys ranch that offers unique therapeutic techniques, such as equine therapy, we also hold academics in high regard, providing teenage boys with a unique way of learning. Our academic curriculum is a non-restricting one, allowing advanced students the opportunity to truly go at their own, naturally faster pace without being restricted by other students’ ability to retain information. Furthermore, a student that struggles with scholastic activities will be given the extra attention and academic guidance that public schools neglected to provide him. What are the Advantages of choosing a Catholic Troubled Boys Ranch? To narrow our one-of-a-kind, therapeutic, spiritual and healing treatment program down to one simple term, is not only misleading, but almost a blatant disservice to our once in a lifetime opportunity that we provide at our ranch . While we are a ranch that serves troubled boys, we are also community that works together to overcome obstacles and hardships that boys’ previously thought too difficult to endure. For more information pertaining to our program or enrollment process, please call us today at (307-213-7116).